Welcome to our blog! 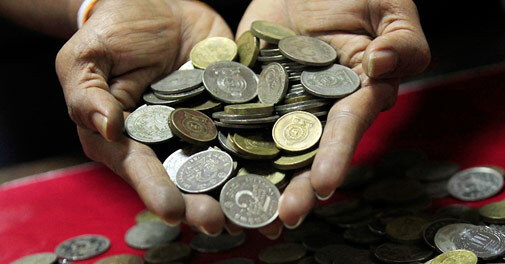 To start us off, here’s a link to a fascinating news story about the economy of votives in modern-day Sri Lanka, where the custom of offering prayer money in temples has apparently contributed to a coin shortage. I’d really like to know more about the Central Bank’s suggestion that worshippers now start to use ‘Tap and Pay’ systems instead. How will this work in practice, and what impact will it have on the visual appearance of temples? The statement by governor Nivard Cabraal that ‘that way, God will know who offered what’ is particularly intriguing. In the past, votives have always (as far as we know) been ‘things’ – that’s part of what distinguishes them from the more ephemeral sorts of religious practice like prayers, or even sacrifices. And of course, that’s what has enabled archaeologists to study them! As we’ll no doubt be discussing in other posts on this blog, ancient votives generally stayed on display in the sanctuary for a while, and were then often buried in its vicinity; the enduring materiality of the votive was integral to how it worked – both in terms of reminding the deity of the worshipper’s vow when they had left the sanctuary, and also, in some cases, in displaying the individual dedicant’s wealth and status to other temple visitors. The notion of immaterial ‘e-offerings’ is just so different to traditional votive religion, and the transition – if it happens – will surely involve some quite intricate negotiations between the temple authorities, the worshippers and the banks. I’ll try and find out more about this story over the coming months. This is fascinating! It makes me wonder about the ephemeral offerings left in ancient sanctuaries – food, drink, clothing, hair and so on – and how much there might once have been that we can’t recover. The ‘tap and pay’ system will be archaeologically invisible in 2,000 years time (unless, of course, the payment machines survive but even their purpose might be obscure by then) which might result in a very different interpretation of these sites and their apparent cessation of coin offerings around the early 21st century! It will be interesting to see how people react to these new ‘invisible’ offerings. Maybe it will be credit card receipts instead, staying with the physical touchable.